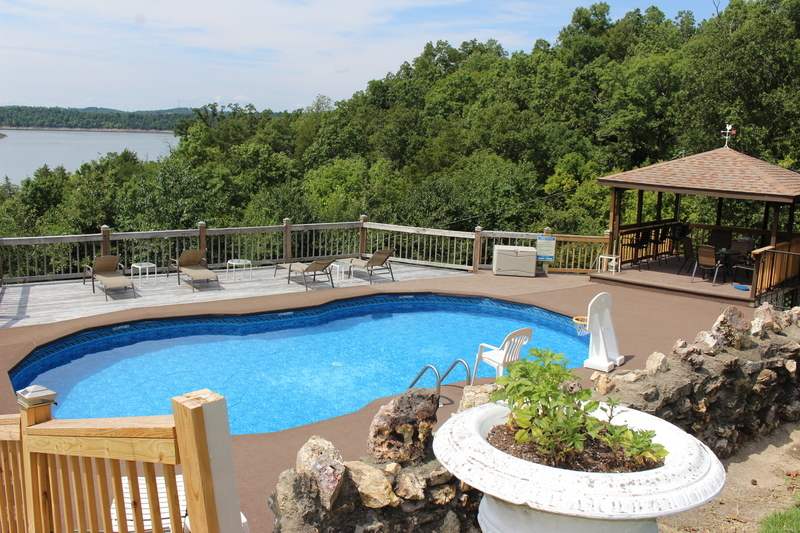 After a full day of fishing and exploring the Ozarks, there is nothing better than taking advantage of Blue Lady's 3 season heated swimming pool. 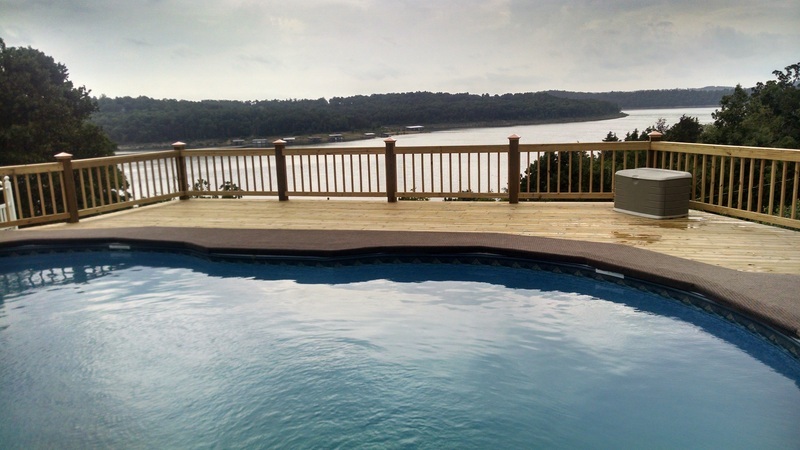 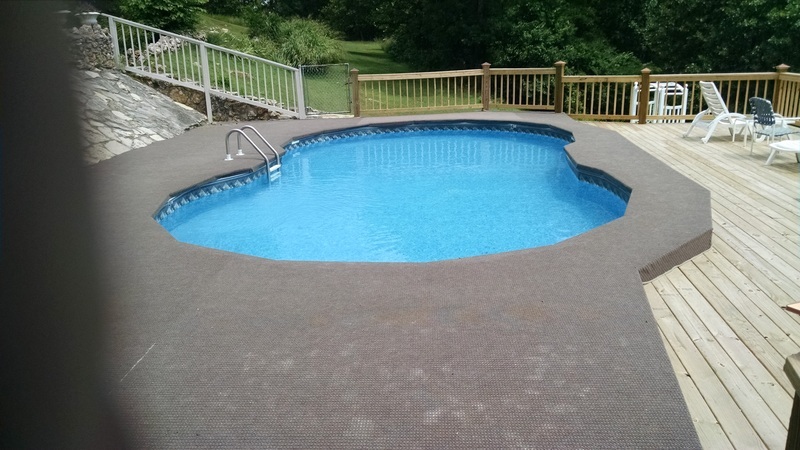 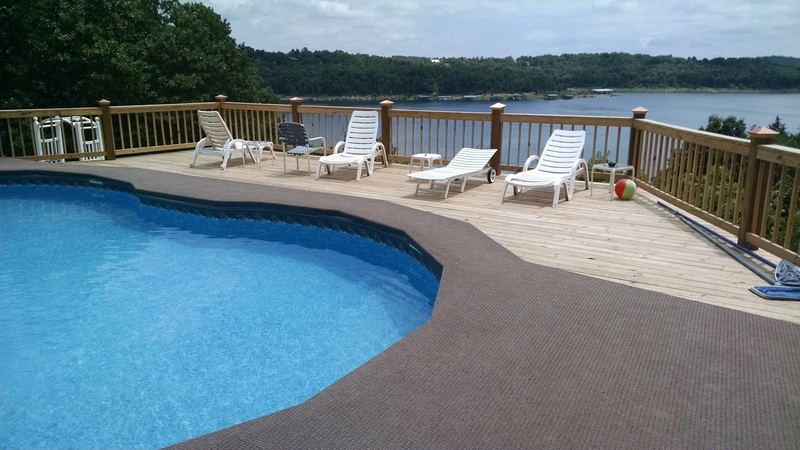 Whether you are in the mood for jumping in the deep end or sitting on the side and letting your feet soak in the water, you are going to love the amazing view you have of Lake Norfork. 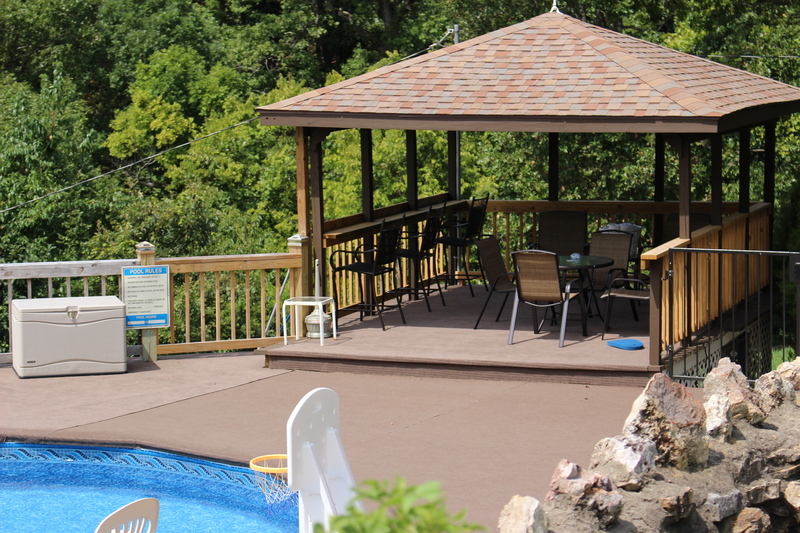 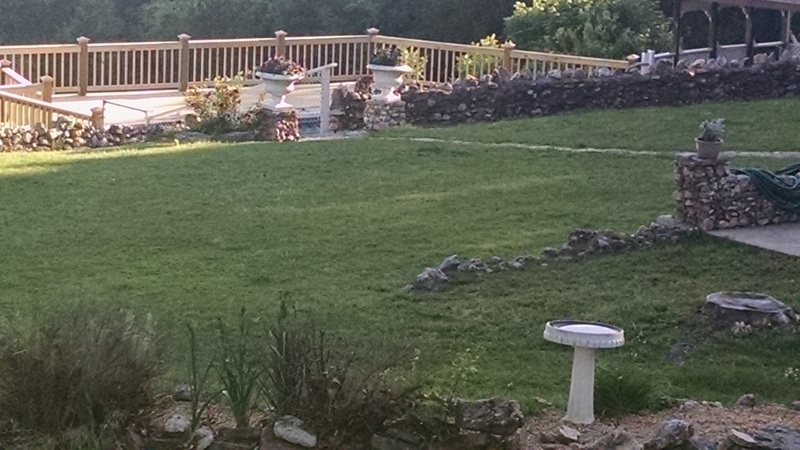 There is also a nice shaded area for those who want to enjoy the company and the view while staying out of the sun.